T.O.P has officially broken his silence, 4 days after his marijuana smoking scandal was made public, with a hand-written apology letter. Read the fully translated apology letter by T.O.P below. 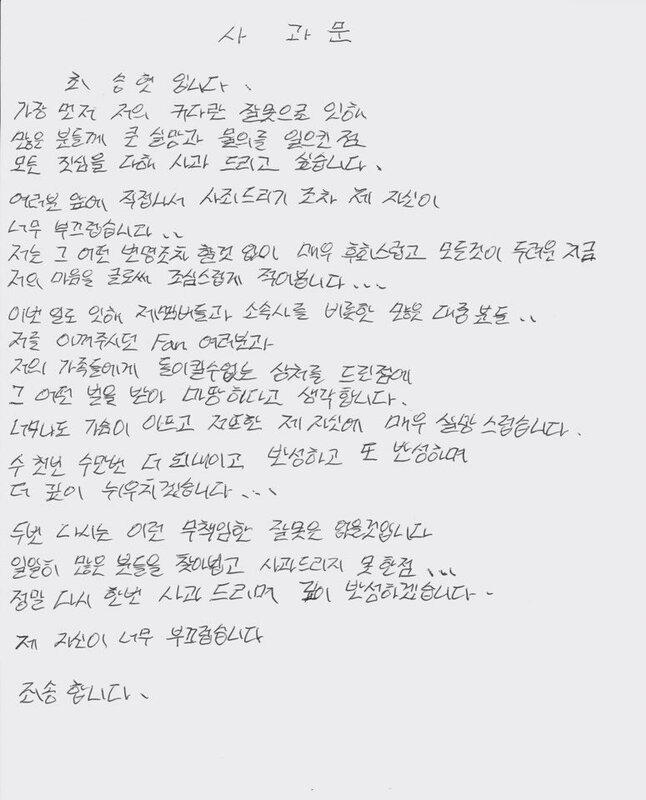 The original letter by T.O.P was written on paper, not printed, and was addressed to everyone affected by his drug scandal. It was written in Korean and is embedded below. Studio Ghibli is gearing up to open this My Neighbor Totoro theme park in Japan.